Deontay Wilder is likely to lose yet another high-profile fight because his would-be challenger tested positive for performance-enhancing drugs. In December 2015, it was Alexander Povetkin who was set to meet Wilder, but the Russian tested positive for ostarine ahead of their WBC heavyweight title fight. Then it was Andrzej Wawrzyk in February who failed a drug test, scrapping the routine title defense. 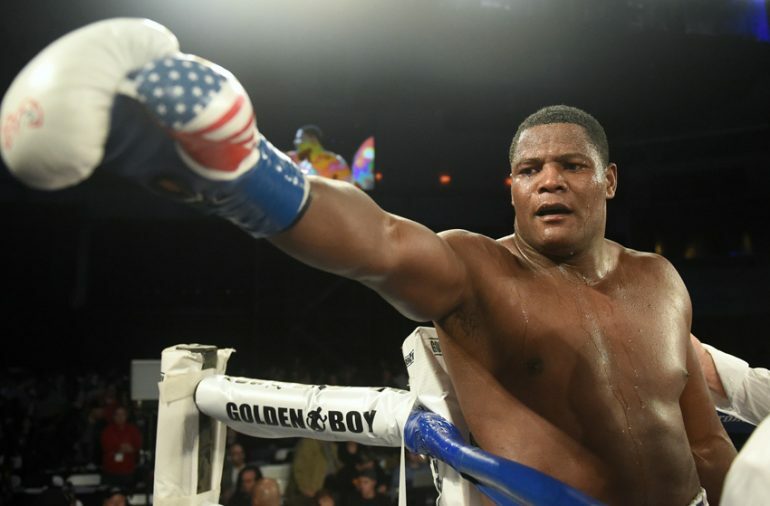 Now it’s Luis Ortiz, who is scheduled to meet Wilder (38-0, 37 knockouts) on November 4 in the most anticipated heavyweight title fight on American soil in almost a decade. WBC president Mauricio Sulaiman shared on social media in the early morning hours Friday that Ortiz tested positive for the banned substances chlorothiazide and hydrochlorothiazide, diuretics commonly used in athletics as masking agents, two sources informed of the test results told RingTV.com. Ortiz’s advisor, Jay Jimenez, shared a photo on social media of a prescription bottle in the fighter’s name (and with a Miami address, where the fighter resides) for Losartan, which is used to treat high-blood pressure. However, Ortiz never attempted to obtain a therapeutic use exemption (TUE), which is required under World Anti-Doping Agency (WADA) guidelines, two sources said. Ortiz also never disclosed he was taking the drugs under “Medications Currently Being Used” when he filed his Voluntary Anti-Doping Association (VADA) paperwork according to sources. Ortiz (27-0, 23 KOs) still has the right to have his B-sample tested, but it’s uncommon for the second test to yield a negative result. It’s more likely Wilder will face a different opponent at Barclays Center in Brooklyn. The WBC, Wilder and DiBella endured great pains to create the Ortiz fight in the first place. Wilder owes a mandatory title defense against Bermane Stiverne — whom he dethroned via lopsided decision for the title in January 2015 — but no television network wanted to buy the fight. Wilder also wasn’t interested; instead, he sought bigger challenges. The sides cut a deal by which Stiverne received a six-figure payday and a spot on the undercard. He’s currently scheduled to face Olympian and RING-rated heavyweight Dominic Breazeale. When it’s all said and done, though, it’s probably Stiverne who will be elevated to the main event to get his long-awaited second crack at Wilder. Stiverne secured the shot after Povetkin again failed a drug test two days before they were set to meet in December in a title eliminator. After that fight was scrapped, the WBC elevated Stiverne to No. 1-contender status. Of course, Wilder isn’t the only fighter who has been burned by Ortiz. The Cuban tested positive for the anabolic steroid Nandrolone after scoring a first-round knockout of Lateef Kayode in 2014. Wilder gave Ortiz a warning at last week’s news conference, with Ortiz listening by phone because he was stuck in Miami because of Hurricane Irma. But Ortiz evidently did just that. And now Wilder likely won’t be able to prove he’s the best — again.